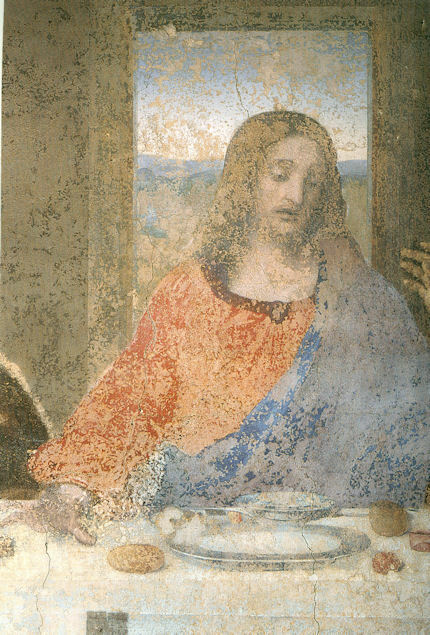 The unhappy $8m Olivetti-sponsored restoration of Leonardo’s Last Supper began in 1977 with a repair of small flakes of detaching paint. It morphed, on very grand institutional technical advice, into a promised liberation of all of Leonardo’s surviving original paintwork. It ended after twenty-two years amidst widespread recriminations and as a distinctly mongrel work showing alarmingly little original paint and very much alien “compensatory” and “reintegrating” new paint. Prospective major restorations are often presented as elegant technical answers to some urgent conservation necessity the resolution of which promises magnificent artistic gains. In reality, the interface between technical intervention and artistic outcomes constitutes art restoration’s fault-line and does so in a field that is notoriously subject to the law of unanticipated consequences. One of the commonest surprises is how greatly the coherence of a work had depended on earlier restoration repairs that were removed on the grounds of being alien impurities. Like Humpty Dumpty, radically stripped works often prove to be wrecks that have to put back together again and many a restorer discovers – too late – that it is easier to take to pieces than to reassemble [see Endnote 1]. The resulting changes made during restorations are often presented as “discoveries”, “recoveries” or “recuperations” when on close examination they prove to have been plain errors. One such unwarranted, unsupported, insupportable case is shown here. Towards the end, the restorer, Pinin Brambilla Barcilon, expressed the hope (Art News March 1995) that her restoration might be the last because: “The less you restore a work of art, the better its chances of survival. Each time you touch a work, it suffers a trauma, no matter how carefully you operate.” In November 1998 the Art Newspaper reported that when Mrs Brambilla was restoring a crucifixion on the wall opposite the Last Supper in 1978, she noticed that “fragments of painting were peeling off Leonardo’s work before her eyes.” The Guardian of July 21 1997 reported she had noticed “bits of painting falling from the Last Supper” and that after experts from Italy’s central institute for restoration in Rome (Istituto Centrale di Restauro) had been called in “the decision to restore the painting was swiftly taken”. Too swiftly, many Italian experts believed. Although conservation necessities are sometimes exaggerated [see Endnote 2], with paint losses, determining the extent, cause, and remedy must always be the top priority – the equivalent of fixing a building’s leaking roof. As seen in Part 1, when the Last Supper was disintegrating to the touch after the Second World War, the then restorer, Mauro Pelliccioli, fixed the problem by embedding the paint in litres of shellac. 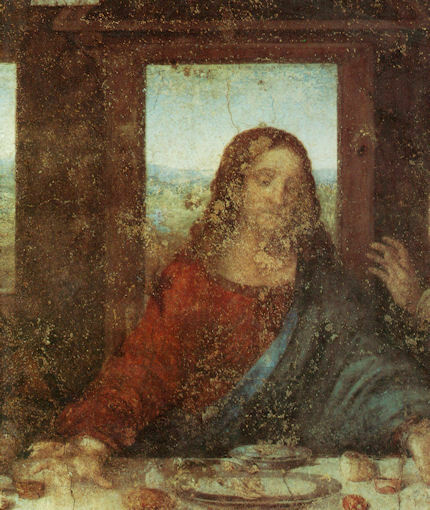 He also won some critical praise for uncovering most of Leonardo’s own surviving paint from restorers’ over-paint. Crucially, however, he tackled the disintegrating paint first (during 1947-49). Only when the shellac was settled and the paint completely secure did he begin scraping off restorers’ repainting (during 1952-54). In this most recent restoration, despite the problem of paint detachment, work began with an intended systematic removal of the remaining repaints. Effectively, in the last restoration the authorities undertook an all-or-nothing gamble with a masterpiece. Against the certainty that shedding the old would be disruptive of the familiar and the still-surviving, they bet that the recovery of some more fragmentary, talismanic relics of Leonardo’s paintwork would outweigh the scale of accompanying losses and newly exposed bare wall. This presumptuous naivety was to prove disastrously wrong-headed. First, as scientific tests of paint fragments (published in Studies in Conservation, August 1979) were to warn, the distinction between original paint and later restorers’ overpaint was not at all easy to establish: “the dividing line is much less clear cut”. (This was hardly surprising given the work’s earlier exposure to corrosive cleaning agents and heated metal rollers.) Second, Pelliccioli had already uncovered most (two thirds, he believed) of what was taken to be Leonardo’s surviving paint. While there was not all that much more to recover, there was, artistically, still very much to lose. Pelliccioli had left repaints in place precisely where they covered only bare wall – which is to say, where they held the image together. The purist shedding of earlier repaints regardless of their antiquity and artistic functions, necessarily guaranteed that Leonardo’s work would be “altered considerably”, as Carlo Bertelli, the then director of the restoration, acknowledged in the catalogue to the 1983 Washington National Gallery of Art exhibition of Leonardo’s studies for the Last Supper. A later defender of the restoration, Giovanni Romano, not only applauded the creation of “a different Leonardo” during “a great restoration” (Il Giornale dell’arte, April 1999) but fawningly added that he would be “satisfied with a restoration of this sort every year.” Throughout this era of vaultingly high ambition, the restoration community needed the biggest possible “sell”: nothing less than a “New Michelangelo” was said to have emerged during the Sistine Chapel ceiling restoration. It became a commonplace that revolutionary restoration “discoveries” required the very “rewriting of art history”. There is no mystery about how the latest calamity came about. In the 1983 catalogue, the Washington National Gallery curator, David Allan Brown, duly relayed the twin official reasons for the restoration: that the paint (which, under a microscope, resembled “the scaly skin of a reptile” ) had not remained secure; and, that Pelliccioli had not removed all earlier repaints. The repaints had to come off because they were now “threatening the stability of the original colour.” Not explained, was how this was so, or how much original paint had been left by Pelliccioli. In the July 2 1995 New York Times, Bertelli recalled having been “certain that there was enough beneath the additions to warrant this restoration”. He added that “Mrs Brambilla and I had examined the surface with a microscope, and we were surprised to see how much of Leonardo’s original work remained”. Could Pelliccioli’s already failing shellac have survived these repeated traumatic assaults with solvents and scalpels on all the glues, waxes, lacquers and gums within the paint-film? Had some new superior quick-acting consolidant been identified or manufactured? What were the structural consequences of this apparent removal of every atom of previous consolidations of the paint? Brambilla has said of the detaching paint “To re-adhere the fragments we used wax-free shellac in alcohol, the same adhesive as Pelliccioli applied during his intervention of 1947″. So, in other words, just some more of the same. If Brambilla’s best English wax-free shellac lasts no longer than Pelliccioli’s, we might expect another restoration within twenty years or so. That the authorities had not known how much original Leonardo paint might survive had been tacitly acknowledged as early as 1983, when, with the restoration one third completed, David Allan Brown could speak only in relative terms: “By comparison with other, well-preserved murals of the time, Leonardo’s detailed execution is almost entirely lost.” Even when the restoration was eventually finished (or halted) there was no agreement among the protagonists themselves on how much had survived. Carlo Bertelli, the director of the Brera Art Gallery in Milan, who effectively initiated the restoration, put the figure at 20%. Pietro Marani, the prolific Leonardo scholar who advised Brambilla from 1985 and became co-director of the restoration in 1993, once said that “no more than 50%” survived and later more ambiguously claimed that 90% had survived “in parts”. Giuseppe Basile (later the director of the restoration of Giotto’s Arena Chapel frescoes) put it at “about half”. Giorgio Bonsanti, the director of the Florence-based laboratory Opificio delle Pietre Dure, put it at “possibly 20%”. Giovanni Urbani, the director of the Istituto Centrale di Restauro between 1973-83, and the director of the Brancacci Chapel restoration, thought 25% had survived. That the unveiling was badly received is beyond dispute, but if vilification was in evidence it was aimed by defenders of the restoration at their critics (see right). 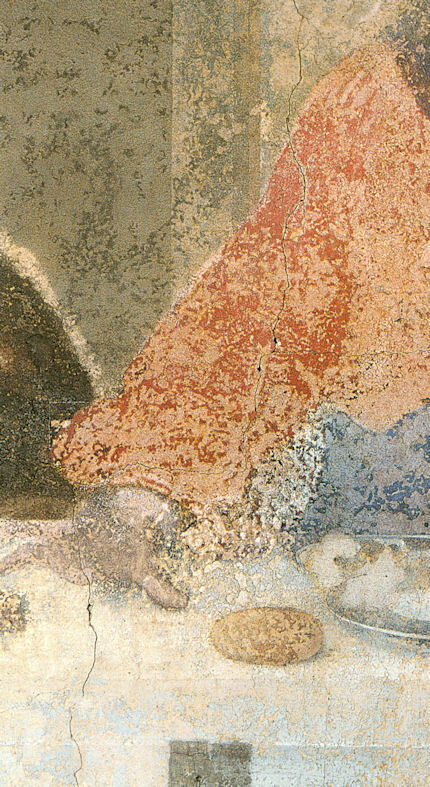 The extent to which the face of Christ was altered, and the evolving means by which the restorer came to impose her own distinctive, ahistorical, arguably arbitrary aesthetic reading on the unprecedentedly vast, fully-exposed areas of paint loss in a quest to “bring it back to its original colors and composition”, will be examined in Part 3. Here (right) we examine a single unwarranted change that was made to the design of drapery on Christ’s right arm and then presented as a restoration recovery. As it happens, all of our criticisms are based on observable, demonstrable (and photographically reproducible) facts. How else, in visual art, might criticisms proceed? As a case in point we discuss and illustrate below a change that was made to the Last Supper and then presented as one of a number of “noteworthy recoveries” when, manifestly, it was not a recovery but an adulteration. To judge restorations it is necessary to know what was done and what was said to have been done by those in authority. For many of those of us who had the privilege of seeing from the scaffold what was being done to Leonardo’s work, the experience was alarming. The removal of everything except that which was deemed original Leonardo paint meant that greatly more “not-Leonardo” was emerging than Leonardo. The second consequence of the stripping was that what little original paint survived, was lost in the visual clamour of the surrounding cracked and discoloured wall preparation layers. It would have been inconceivable to leave the tiny emerging islands and archipelagos of original paint adrift in the vast sea of ruined wall. At close quarters it was evident that this was not only an extreme restoration, it was also methodologically self-defeating in its dogmatic pursuit of “pure” material. As fast as earlier restorers’ paint was eliminated, fresh paint was needed to ameliorate the losses and impart a pale impression of continuity, coherence and legibility (“The goal of pictorial integration was to achieve a sufficient legibility of gesture, pose and modeling” – Brambilla). The purging of paint and the attendant debilitation of imagery gave rise – as is soften the case with radically deconstructing cleanings – to a misconceived, ahistorical reconstruction that altered the design of the picture – in this case, even, that of Christ himself. While doing so in the name of historical authenticty, historical testimony was defied to a degree that beggars belief. The change in question was made to the sleeve of the tunic on Christ’s right arm. It is shown here at Figs. 5-9, as it appears in the “official” published accounts. As seen in Figs. 6 and 8, the alteration was made with fresh paint to stripped areas. 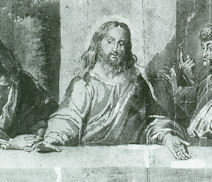 On the “evidence” of some fragments of red paint located in a clearly distressed section of the mural, the sleeve drapery was extended by fresh repainting so as to come to rest on the top of the table which it had originally tucked behind – as countless drawn, engraved and painted copies of the Last Supper testify. By a fluke of publishing, we can show directly comparative photographs that capture the genesis of this alteration. They are found in two books. The first is Pietro Marani’s sumptuous, large format 1999 “Leonardo da Vinci ~ The Complete Paintings” (hereafter: Marani 1999). In it there is a photograph of Christ (shown here in Figs. 6 & 8). It was taken when the figure had been stripped down and largely but not entirely retouched. The second source is the beautifully photographed and produced 1999 book-of-the-restoration “Leonardo ~ The Last Supper”, by Pinin Brambilla Barcilon and Pietro C. Marani with Antonio Quattrone’s photographs (hereafter: Brambilla/Marani 1999). 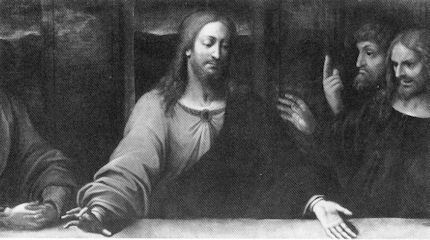 In this book there is another photograph of the Christ but this time it is after all the retouching had been completed. This plate is seen at Figs. 7 & 9. The differences between the two states are worth a thousand words. 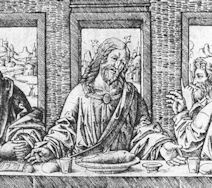 But before discussing their testimony in detail, the status of the many copies of the Last Supper should be considered. We take as fair testimony of Leonardo’s original treatment of the drapery, copies of the Last Supper made in the first eleven decades of its life. Fig. 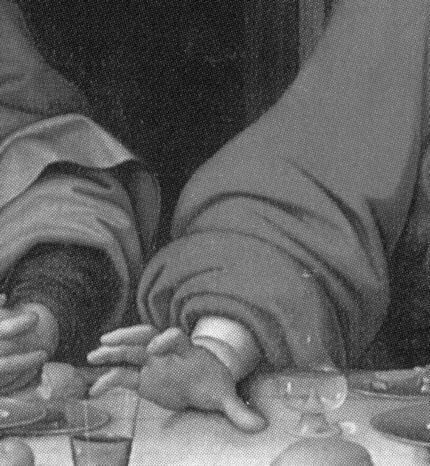 2 is a detail of an engraving thought to have been made within a couple of years of the Last Supper’s completion. Although primitive in style, it clearly shows that the sleeve drapery is cut off by the table top and does not not rest upon it. Over a century later, Rubens (or an associate) made a copy in ink and wash. Here too the sleeve drapery is cut off by the table. Above, top left, Fig. 2: Detail of the engraving given to Giavanni Pietro da Birago and thought to be the earliest copy (c. 1500) of the Last Supper which was completed in 1498. This work comprises a visual record of the Last Supper’s appearance before the mural’s notoriously rapid physical decomposition was in train. Enlarged, the clarity of delineation attests to a feature that may not be so evident elsewhere: the (blue) mantle does not yet simply disappear in the zone of shadow behind the table and between the arm and torso (as is already recorded at Fig. 4), but is seen to turn briskly around the waist of Christ. Above, top right, Fig. 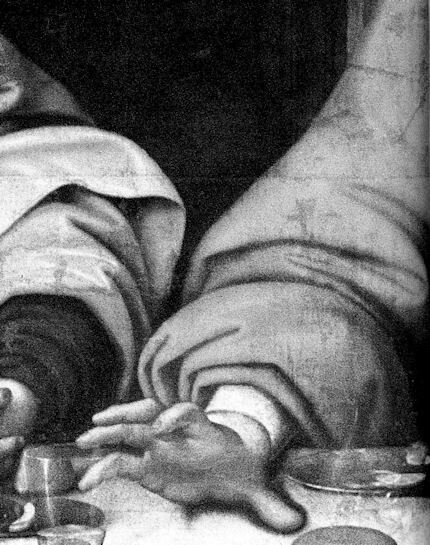 3: Detail of an ink and wash copy given to Rubens or an associate, and of c. 1600-08. It is possible that the Rubens copy may have been made not from Leonardo’s Last Supper in Milan but from the large full-size copy of it seen at Fig. 10. But that copy, too, attests to the drapery being cut off by the table. This table/drapery relationship had thus remained unchanged for more than a century. Above, Fig. 4: Detail of the 1616 oil on canvas copy by Il Vespino (Andrea Bianchi). This copy had been specifically commissioned in 1612 to record the then condition of the already alarmingly decaying mural. Above, Fig. 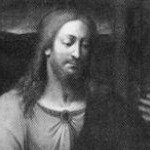 5: Leonardo’s Christ, as seen before the 1977-1999 restoration. It is clear when comparing this state with the copies of the painting shown at Figs. 2, 3, 4, 10 & 11, that in the course of earlier restorations, the drapery of Christ’s right arm had been slimmed down on its inside edge by encroachments of the shaded zone between the table top and the figure. That the two full-size copies shared essential design properties both with one another as well as with Leonardo’s mural is of the utmost importance. Such a triangulated matching of imagery shows that the Tongerlo and Giampietrino copies were taken directly from the mural itself after completion, and were not taken from cartoons that might have been made in preparation for the painting during the course of which revisions were made. This in turn means that the restorers between 1977 and 1999 had in their possession unquestionably reliable guides to the designs and the component parts of Leonardo’s figures as they had been finished by him on the mural itself – if all three matched, none could be inaccurate. There could be no grounds for departing from the commonly held “principle outlines of the various figures”. Above, Fig. 6: Christ, as seen (in Marani 1999) before the completion of the 1977-1999 restoration. This illustration captured a curious stage of restoration. We see that after the stripping of earlier restoration repaints, the extensive losses to the blue drapery of the mantle and the red drapery of the tunic had been ameliorated by overall applications, respectively, of lighter blue/grey and lighter red paints. Of critical importance is the fact that at this stage a crescent shaped, as-yet untinted zone, sits unresolved between the red and the blue passages, as if there is confusion about where to place the boundary between the coloured zones of the two draperies. A reason for hesitation is not hard to divine: this untreated area not only sits between the red and the blue draperies, it also also runs down across the table cloth. Above, Fig. 7: Christ, after the completion of the 1977-1999 restoration (as in Brambilla/Marani 1999). It can now be seen that the junction of draperies at the inside of the red sleeve and the blue mantle in Fig. 3 was moved rightwards by an extension of the pale red paint. But at the same time, this light red retouching has also been carried downwards, overlapping the table cloth before turning upwards so as to terminate behind the wrist, and thereby impart to the sleeve drapery a muff-like (or puffball-like) configuration from the centre of which the forearm now emerges. As well as being an unwarranted falsification of Leonardo’s design, this change insinuates a solecism: in the laws of artistic drapery, material hangs from and partially expresses underlying human forms, it does not provide autonomous enclosing receptacles for them (like pots for a lobster, as it were). As shown below, no authority exists in the painting’s many copies for this change of design. Above, Fig. 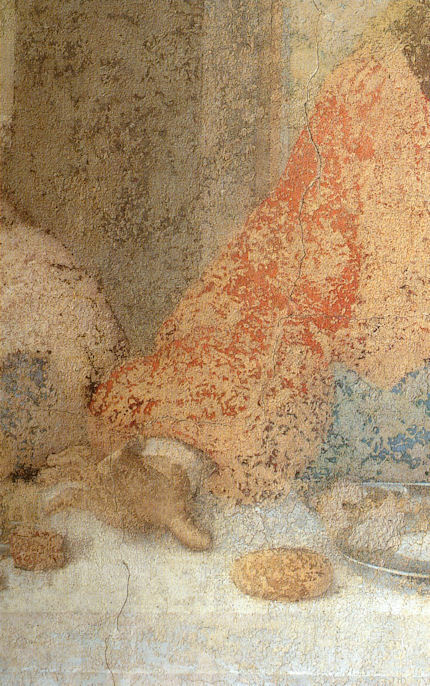 8: An enlarged detail, again showing the sleeve/mantle relationship after some tinted infilling had taken place but before the completion of the restoration. The dark shape in the bottom left corner is the mantle of the apostle John. It would seem that this photograph was taken at the point when the restoration was just about to pass to the left of Christ. It would seem also to confirm that the tinted infills were being made pretty much as the stripping down was taking place. Here we can see that the razor-sharp delineation of the architectural forms is not a happy by-product of the stripping down but is almost entirely a subsequent reconstruction effected with superimposed overall painting on a zone of almost total losses of original paint. 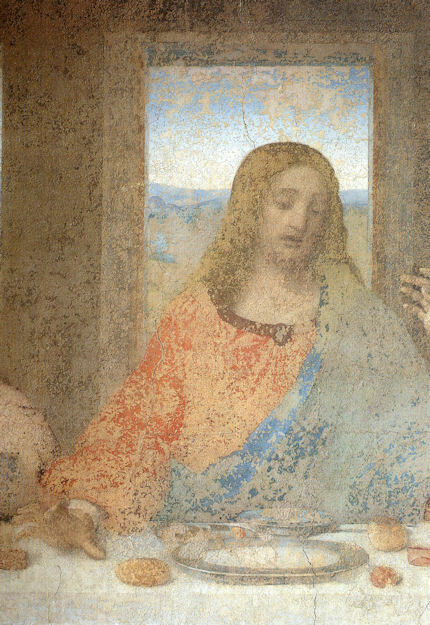 It looks as if the tinted brown repaint on the background wall was stopped short of the not-yet stripped drapery of John, thus producing the temporary effect of a coarse outline or halo. When told of our objection to the redrawn sleeve of Christ, Pietro Marani reportedly responded: “A small piece of drapery. Oh, my God.” and contended that Giampietrino might have misunderstood the position of Leonardo’s drapery.